So Pretty Little Liars is back (finally!) and Season 5 is in full swing. I'm a little bit obsessed with it, I love it! (can we talk about Caleb's new hair?!) but one of the things I love the most is the style! 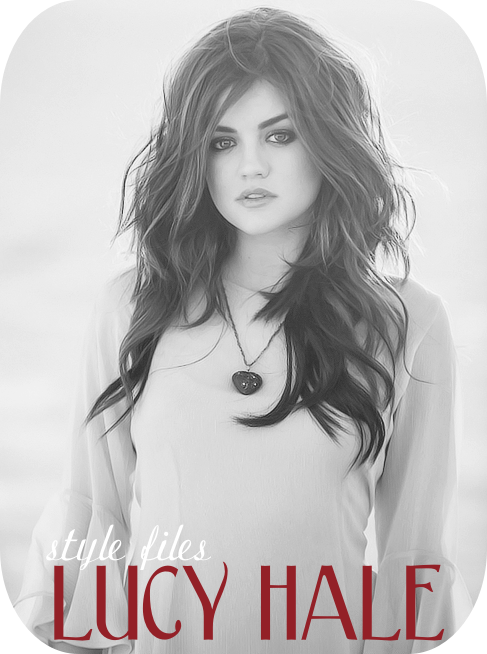 One of the stars, Lucy Hale (who plays Aria) has such a distinctive style, and I really wish I had the guts to wear everything she wears! If you haven't guessed already, today's "style files" is going to be focused on her,so lets go! What do you think of Lucy's style? Love it or loathe it? I love Lucy's style too, as well as Aria! I especially love it cause she is just as short as me, so I can kinda tell what trends/style goes with my body type and such! I also really like Shay's fashion sense! Ooh I'll need to check out your giveaway! Aw, thanks so much! Will do!